New CEO George Olson (left) shakes hands with former CEO Robert Hendershott. 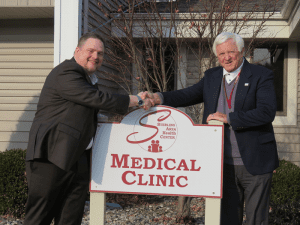 In December 2018, Sterling Area Health Center welcomed George Olson as the new CEO. George Olson is hoping to continue the organization's practice of patient-centered health care. Born and raised in the Pacific Northwest, primarily Oregon, after high school he enlisted in the Navy where he served as a hospital corpsman for 13 years. After service, he returned to Oregon where he worked as an information specialist for a critical access hospital. From there he was recruited by the Oregon Health Sciences University, where he became involved with its human patient simulation program, utilizing high fidelity machines to train medical professionals. During the course of his career, Olson said he has worked in a majority of the positions available at Federally Qualified Health Center such as Sterling Area Health Center. Having grown up in a rural area similar to Sterling, Olson said he feels passionate about providing a personal touch to healthcare in smaller communities that may lost among bigger, corporate operations. George wants to get the word out and make residents more aware of the health center so those who may need it have access to the services provided at the facility. He added that he wants to expand the team at SAHC with local health professionals who are members of the community. Overall, the new CEO said he is looking forward to helping benefit those in the area and becoming a member of the community, adding that if anyone sees him around town they should feel free to stop and say hello. "I would not move my family to Michigan from Oregon without the idea and plan that this is really long-term." Olson said. "We really want to be ingrained in the community and that was a big choice in this too. 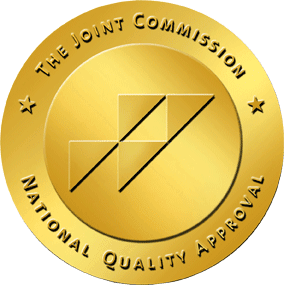 Sterling Area Health Center receives HHS funding and has Federal Public Health Service (PHS) deemed status with respect to certain health or health-related claims, including medical malpractice claims, for itself and its covered individuals. For more information about the legal protections offered to FTCA-deemed health centers and their employees, please click here.